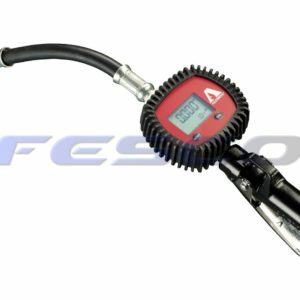 This 3685-F Alemite Mechanical Lube Meter Quart w/Flex Hose lubrication meter measures oil flow, has a 1/2″ NPTF female inlet, and a control valve with a maximum operating pressure of 1,000 pounds per square inch (psi). 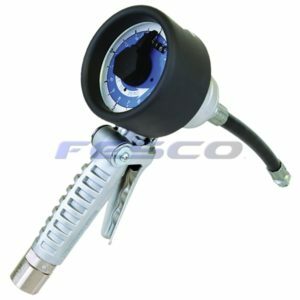 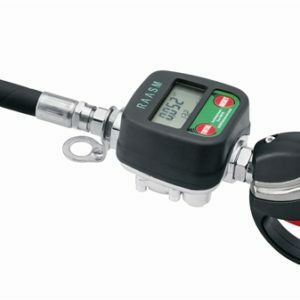 The outer pointer of the dual-range face dial indicates delivery up to 4 qt./3.8 l. while the inner pointer indicates delivery up to 16 qt./10 l. A lever on the meter operates the pump that dispenses lubricant and has a lock mechanism to keep it in the open position for continuous dispensing. 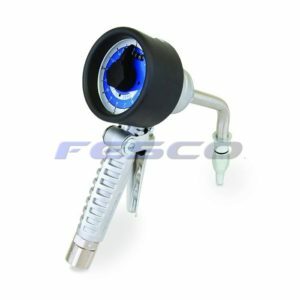 A totalizer keeps a lifetime record of the amount of fluid dispensed. 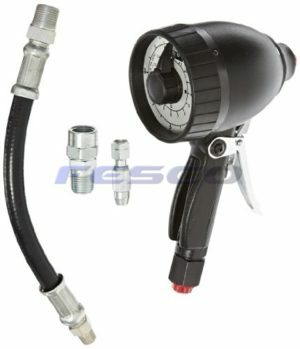 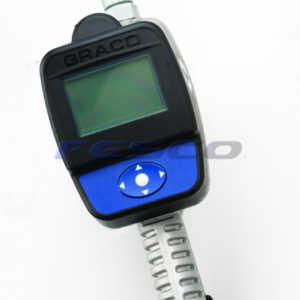 This meter comes with a flexible extension that has a non-drip manual nozzle. It has a 1/2″ NPTF (National Pipe Thread Fuel) female inlet and also has an inlet swivel and internal filter screen for keeping contaminants out of the meter. 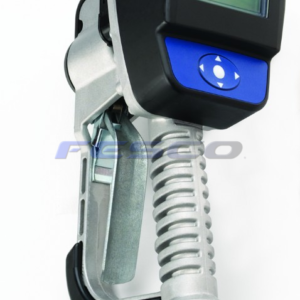 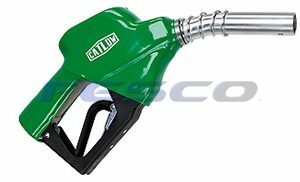 This oil meter integrates with oil guns and oil pump systems to inject oil into standard oil fittings and are used for applications such as lubricating motor vehicles, construction and industrial equipment, and aeronautics.